Another very high tower has been recommended for approval in March (2014/6909), within the close vicinity of Clapham Junction. 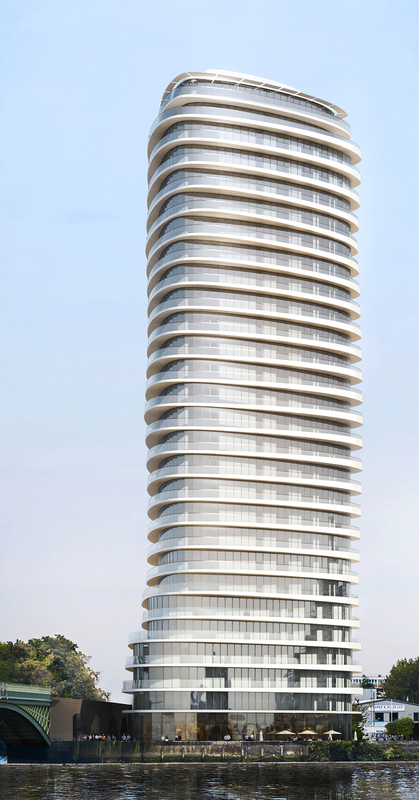 Just beside the Grade II listed Cremorne/Battersea railway bridge, Barratt London is going to build a 28-storey tower (12-14 Lombard Road, SW11). As usual, Wandsworth planning documents have been ignored by the developers, and with reason, as the Council’s planning department itself chose to ignore them too. 15.2 The proposed building at 28 storeys is far in excess of the 8 storey maximum height that the SSAD for this site suggests is appropriate for this site. (so 28 is in excess of 8 so it’s appropriate? No joke?) […] There are considered to be material considerations that allow this proposed height to be considered favourably, and to accord with DMPD policy DMS4 (of the approved and 2nd proposed submission versions). These include the exceptional quality of the proposed architecture […]. We find here again the usual favourite catchwords used by Wandsworth Council to justify any breach of planning rules: “significant benefits that outweight the harm… “. See a similar example HERE. In addition, Wandsworth Council recently added a proposal in revised documentation that a focal point in Lombard Road ‘be investigated’ (Core Strategy PL9, p.83, October 2014). However not only this is an obvious attempt to justify the scheme afterwards, but while the SSAD height guideline was not revised, the new planning documents are still under examination by a government inspector and final approval is not expected before the end of 2015. During the Planning Application Committee on March 18th, consideration was given to the impact that the scheme would have on the operations of London Heliport. The Committee agreed that the application be deferred to secure more information and they asked that the applicant carry out an additional assessment on the potential impact of the proposal using data collected from wind tunnel modelling. In the previous meeting, another tower of 14 storeys nearby (Gwynne Road) had been approved in February (Planning Application Committee approved by 8 votes to 1). Could you tell me what the significant benefits will be? According to the Council: redevelopment of the site, focal view… the usual arguments that could justify any scheme.